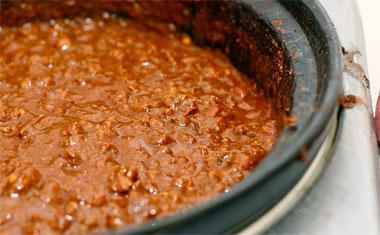 Chili has been the Official State Dish of Texas since 1977. Ben Z . Grant, Marshall, Texas, convinced his colleagues in the 65th Texas Legislature that chili was the only dish worthy of representing the state in an official capacity. Chili became the official state dish of Texas when Governor Dolph Briscoe signed House Concurrent Resolution No. 18 (HCR 18) on May 11, 1977.